Out of all artificial sweeteners, aspartame has the most ‘beef’ stacked up against it. Studies in the 1990s and early 2000s found it to be carcinogenic – to rats – when consumed in a high dosages. All kinds of horrifying articles started to come out against aspartame in our soft drinks and foods as the idea of it being cancerous began to gain momentum. In the mid 2000s though, a number of new studies came out that found critical errors in the original aspartame-blasting studies. Indeed, new findings showed aspartame to be perfectly safe for human consumption (except for those with phenylketonuria). But the vilification of aspartame was such that people insisted on avoiding it. Its reputation was tarnished… and it remains so today as critics maintain aspartame to be a dangerous and potentially neurotoxic substance that should by all means be avoided, particularly when consumed in excess. 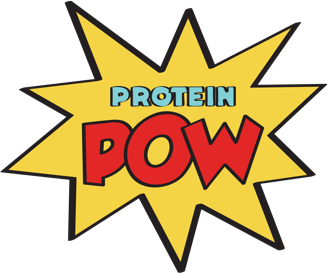 The inclusion of ace-K in our protein-containing powders, foods, drinks really bugs me. It bugs me because very few people know what it is and because one of the only reason companies use it is because it’s a very cheap sweetener. Is it safe for human consumption? Well, it’s been okayed by governing US and EU bodies as harmless. Some, however, continue to campaign against it, arguing it to be potentially carcinogenic and to alters neurometabolic function. If you look at trends in the formulation of protein powder and protein-containing foods, you’ll notice that, at first, the vast majority of these products were sweetened with aspartame and/or ace-K. Around six years ago though, as aspartame’s reputation hit rock bottom, companies began sweetening their products with sucralose. To the point that today, the vast majority of powders (and ‘healthy’ sugar-free foods) in the market contain it. Sucralose is generally regarded as safe for human consumption worldwide, with recent data pointing towards its safety. Some, however, have argued that it triggers migraines and others have noted that it may bring on a plethora of negative side effects. Animal studies too (like this, this, this, and this) have found disconcerting findings against it. Xylitol is a sugar alcohol that’s commonly added to things like chewing gum and a number of protein-containing powders, foods, and drinks. It is argued to be beneficial to our digestive health – and teeth! Some people however, report gastrointestinal irritation when consuming sugar alcohols (particularly mantinol, isomalt, and sorbitol) – these include bloating, flatulence, and diarrhoea. Unlike artificial sweeteners which contain 0 calories, sugar alcohols contain approximately 2.6 calories per gram. Stevia, which is derived from the leaf of the Stevia Rebaudiana plant, was banned in the US until 1991. Did you know? It was considered back then to be carcinogenic, even though it’d been used in Japan for years! It wasn’t until 2008 that the FDA approved it as a food additive and 2011 that the EU followed suit Because of its relative ‘newness’ in our diets, there are no longitudinal studies assessing its impact on our health. Lo han guo is an interesting sweetener. Its usage is relatively new in the US. It has, however, is banned in the EU – unless for use in cosmetics! No longitudinal studies have been carried out to assess the way in which our bodies respond to regular intake of Lo Han Guo.